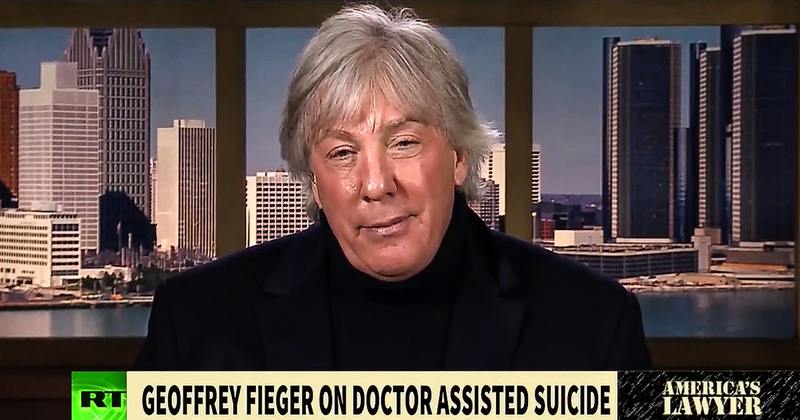 This week on America’s Lawyer, Attorney Geoffrey Fieger joins Mike Papantonio to discuss doctor assisted suicide and the growing movement nationwide. Pap:	Doctor-assisted suicide is currently legal in just six states, but there is a growing movement to legalize the policy nationwide. Joining me now to talk about that, the state of assisted doctor suicide, is attorney Geoff Fieger. Fieger represented Jack Kevorkian, who was convicted of second degree murder in 1999 for giving a terminally ill patient a lethal injection. Geoff, thanks for joining me. Geoffrey:	I should tell you, Pap, that he was acquitted six times when I represented him of first degree murder. Pap:	I know, and I was going to talk about that. Geoffrey:	It’s only when he represented himself. Pap:	Right. That’s exactly what I was going to talk about. I say he was convicted because as you point out, when you were representing him, he was acquitted. How were you able to get the acquittal? What is it that the jury reacted to about Jack Kevorkian? Geoffrey:	Well, he was convicted only because when you represent yourself you have a fool for a client, and Jack was not a good attorney for himself, but really there was an incredible predisposition among all people in this country to believe in freedom and the right of people to make decisions at the end of their lives as to how much they have to suffer without governmental interference. As soon as the juries believed that those decisions were being made by not Kevorkian, but by the patient themselves, and that Kevorkian was simply a doctor carrying out the patient’s wishes, I was able to secure his … not only his freedom, but his acquittals. Pap:	Geoff, it was amazing what you had to overcome and those many acquittals that you got for him. This poll that I want to talk about shows that 70% of Americans support doctor-assisted suicide. I think it’s up about five points from 2012. How do you account for this growing support of doctor-assisted suicide? What is your take on it? Geoffrey:	I think it’s inevitable for a number of reasons. One, it’s common sense. Two, as much as I abhor some of the things that are happening politically in this country, there is a movement within this country to get government off your backs. That’s why it’s utterly confounding for me to hear that poll, 70% believe that doctors should be able to make decisions with their patients, and government should get out of it, and yet they want to end … Maybe it’s the same thing. 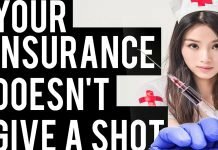 They want to end Obamacare, but the fact of the matter is, is that there are people believe the government shouldn’t be involved in personal decisions. Also, it’s financial. How much can we sustain as a society Pap, the costs regarding death? The last 15 days of a person’s life account for over 80%, maybe 85% of Medicare and Medicaid funds. In other words, we’re being … An incredible majority of the funds are being spent not to cure anyone, but just to prolong life by a couple days or weeks. Society can’t withstand that, so those three things, freedom, the right of people to make their own decisions, and money are going into that. Pap:	Geoff, the limitations that I see is first of all, a person has to be I think by way of two doctors have to confirm that they’re less than six months away from inevitable death. These are generally general ideas, and that they have the right to go buy the medication to do it themselves, and in the end may choose not to do it. I mean, there’s no point that when you make the choice that it has to take place. What are these limitations that you’re seeing or the guidelines that you’re seeing, how would you add to these guidelines as far as what’s happening nationally in legislature? Geoffrey:	Well, the guidelines are sort of silly. First of all, nobody can predict whether you’re going to live six months or six years. Everybody’s different, and also the idea that doctors should give pills and then walk away from the patient, I agree with Kevorkian in that. That was silly. If you’re going to have a doctor help you, you should make sure that when it comes time that it really gets done, because the pills walking away produce some real problems. You might not do the deed, and finally, having that choice, you got to understand, and people don’t understand this. They want the choice. They don’t inevitably go and do it. In fact, most of Kevorkian’s patients never got the help. They just wanted to know that if they needed it at the end they could have it. That provides an emotional solace that’s far more beneficial than just about anything else. Most patients don’t go through with it, but there shouldn’t be restrictions on doctors being present. The six months is an arbitrary and capricious category. You got to of course be mentally competent, and then there’s the problem with children, too. You’ve got a real problem with children, parents making decisions about terminally ill children. Of course, we make these decisions every day. By the way, hospice as a result of Kevorkian and a little what I did, right now in hospice treatment you can get, and you couldn’t before, you can get as much morphine as you want. You can push the button on the morphine, and you can overdose yourself without anybody looking crossways at you. That’s the result solely of Kevorkian. Pap:	Yeah, Geoff let me ask you this. I’m sure doctors call you from time and time trying to find out about what they need to do decision making. What do you recommend doctors should do in states where physician-assisted suicide is not legal if they have a terminally ill patient that wants to end their life for very, very good reasons? What would you tell them? Geoffrey:	Well, most doctors can give the drugs basically for pain, assuming the pain is an element of the disease, and they can refer to hospice. Good doctors, caring doctors, will become involved. Scared doctors, and remember this is all about scaring doctors to make the patient suffer, so all the states that prohibit it are really intimidating doctors, not the patients. The patients are going to try to do whatever they need to do, because suffering’s not a good thing. Some doctors don’t like to be intimidated. Some are scared as rabbits, so they’re all different. Pap:	In about a minute Geoff, tell me this. What model have we seen internationally, or nationally or internationally, that you would say is proof that this is probably a pretty good system? Geoffrey:	It’s been running for years in Holland, the Dutch system. England’s got a modified system. The Scandinavians have a modified system. 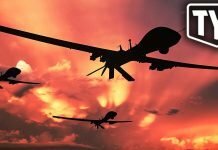 People aren’t being killed. The idea of a slippery slope doesn’t exist, and frankly, it’s been legal in Oregon now for over a decade, and you can see there’s none of this so-called slippery slope. It’s not really a problem, and it’s going to happen, Pap. It is 100% going to happen because bottom line, money. Pap:	Yeah. Geoff Fieger, thank you for joining me. 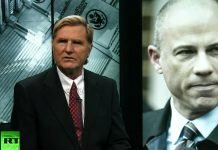 You are one of America’s finest attorneys. The fight you started here really does matter, and it’ll matter going forward. Thank you.